www.imoc.co.uk :: View topic - Club ticket details! Posted: Mon Feb 11, 2019 11:47 pm Post subject: Club ticket details! 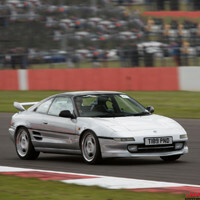 After the huge success of last years Japfest, MR2 clubs are converging once more. This is an open invite to all MR2 owners, from all clubs, to come and join the club stand on 5th May at Silverstone, the home of motorsport. I am sure all would agree that last year the turnout was fantastic, and we are looking to emulate that again this year. Tickets are now available to buy direct from the Japfest website through the 'Club Tickets' portal. Simply select MR2OC/IMOC/2Brutal/Drivers Club from the drop down list and enter the club passcode below. Sounds awesome, I used to go every year when I was working down south. Just waiting on my mate confirming that he is going as well and we will book tickets. Deadline - Midday Monday 8th April 2019. While they have extended it in the past, don't rely on it, or you'll probably miss out. Just beat the deadline... can't wait. What, is it sold out already??? Original deadline was midday today. They've extended it til Wednesday. If you don't order before 12PM on the 10th April, you won't be able to get a pass unless they extend it again. I will probably have a spare vehicle pass if anyone wants one as I have managed to get the car on the main show n shine stand this year. Get those orders in ASAP if you want to come, nothing we can do post deadline if you miss it.